Today’s busy world people used to do multi-tasking, love to hear music while jogging, walking, exercising and dancing. It is difficult to handle all wires at the same time, so you need awesome wireless headphones to make your hand free and enjoy the activity. 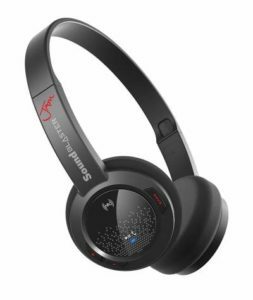 Below we have found best wireless headphones in India, it is also called as Bluetooth headphones. Things to keep in mind while buying wireless headphones or Bluetooth headphones. Comfort – you should feel comfortable while wearing it. The headphones should come with breathable pads that allow users to wear them comfortably for an extended number of hours. Range – How many times have you gotten up for water and yanked your headphone cable in the process. Being free of wires means you can move freely around the playback source within the Bluetooth range. Based on your needs it is advisable to go a headset that can transmit signals to a wider area and around or through walls. Otherwise, there is no use of buying a wireless headphone because it will not provide u a good sound quality. Battery Life – Depending on how you intend to use your headset, this is an important factor to consider. Short battery life can be an issue if you are not in a position to charge the headset frequently. If you plan to use your headphone regularly then settle on a brand that guarantees battery longevity. Noise Cancellation capability – If you are going for quality sound, this is a very important consideration as it will ensure the headset filters out any unnecessary sound. Additionally, this impressive technology also helps to improvise the sound quality of incoming and outgoing calls. Some Bluetooth headphones also cancel the minute sound like the sound of winds or water droplets etc. TAGG Inferno is a powerful music assistant and comes with excellent features. It is one of the best bluetooth headphones in India. Noise Cancellation – Featured with CVC 6.0 Noise cancellation technology, these earbuds filters out background noise to guarantee high-quality sound and provides you clearer voice calls. Never Falls Out – The comfortable and ergonomic design ensures that earphones stay does not fall down or slip from your ears and it’s beneficial for a person who goes for regular running, jogging and gyming. 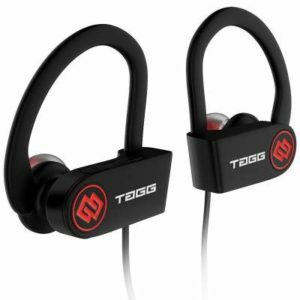 TAGG Inferno comes with three sizes of earbuds to provide you the best fit. Longer Listening – 100 mAH in-built rechargeable lithium Ion battery provides upto 7 hours of music play time and 180 hrs of standby time. Hands-Free Calling – Answer and reject calls as you dash around the track. Built-In microphone with CVC 6.0 Noise cancellation technology reduces outside noise and transmits your voice with enhanced quality. Mivi Thunder comes with Bluetooth 4.1, enjoy a 30 feet range of connectivity. It has stylish finish – metallic exterior body mad from premium materials. This is another best wireless headphones in India. 7 hrs of play time – Lithium-ion battery lets you enjoy up to seven hours of play time, rechargeable with USB power sources. Super Bass and HD Sound – Boasting of crisp HD sound, deep bass, clear mids and transparent highs. 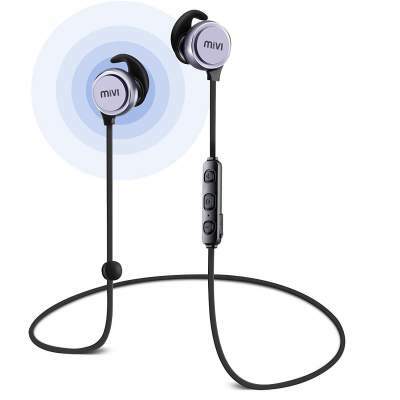 Magnetic Lock – Magnetic Lock helps to keep the earphones in place preventing them from falling when not in use. Multi-function – Allows taking calls and controlling your music with In-line Mic. Also, convenient opening to charge your earphones. Dual paring – Dual pairing allows to seamlessly connect two devices at the same time for double the entertainment. Noise Cancellation – CVC 6.0 Passive Noise cancellation allows for excellent, detailed sound by keeping the unwanted noise out while still allowing you to be aware of the surroundings. Always in place – Ergonomic Design for secure fit to keep the headphones comfortably in place during workouts. Comes with small, medium and large buds to match your ear size. Sweat Proof – Workout to your heart’s content without worry of your earphones getting damaged as the earphones are IPX4 sweat proof. With Leaf Ear, you feel the music, the way it should be. Jazz, Rock, Hip Hop, Hindi music, Sufi and what not; Leaf ear is tuned to perfection to make you experience all these music genres better than ever. It’s built for those who can catch the beats that others can’t. 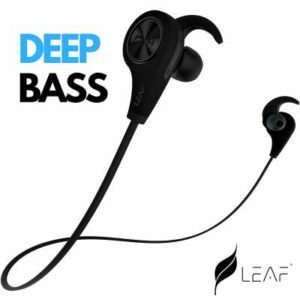 DESIGN – Durable design and comfortable earbuds ensure that earphones always stays in place while running, and Gyming. High-Quality Audio – Leaf Ear delivers a powerful experience to pump you up for the day. With a frequency response of 20Hz-20kHz, and sensitivity of 101 dB, it’s an ideal combination of power and a wide frequency range from deepest bass to highest treble. Long battery life – Leaf Ear is power packed with a Li-ion 100mAh battery, that gives an extraordinary battery life of 8 hours music playback with a charging time of just 1.5 hours. Standby battery duration on one single charge is 300 hours. The Sound Blaster JAM is a pair of ultra-light Bluetooth wireless headset that gives you freedom to roam in comfort, no matter how long your playlist is. It comes with Bluetooth 4.1 and Near Field Communication (NFC) technology, you can pair and play without much fuss. Enjoy the power of freedom and flexibility, without scrimping on the audio quality up to 12 hours of wireless playback. Comfort – Music gets more enjoyable when you can listen in comfort all day long. Thick foam ear cushions are designed to let you experience the true intentions of your favorite artist. You almost forget you’re wearing a headset! One-Click Solution – With single click gives lots of features. One click on the headset and you’re instantly connected. Click again and play, to pick up where you left off. Click the bass enhancement button and you get a stereo punch that cranks up your music really good. Great Music with limitless Possibilities – Music follows wherever you go, even when you’re charging your headset at the same time. Connect the Sound Blaster JAM to PC/Mac via USB for audio playback, to keep the grooves going! When connected via USB, you’ll have access to the SBX Pro Studio suite of technologies, designed to improve your audio, be it for movies, music, or games. Warranty – it comes with 1 year limited hardware warranty. 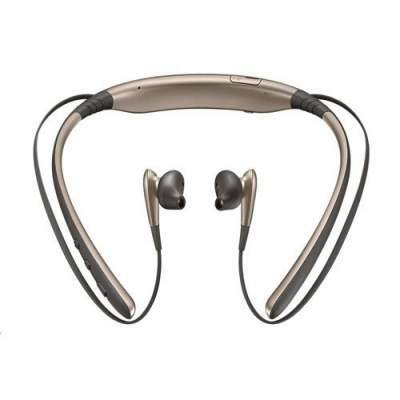 Samsung bluetooth headphone is extremely light in weight and suitable for both short as well as bulky heads. In built control button – by this button you can easily change the volume, go to next song or skip the track without actually removing phone out of your pocket. You can also play the radio in this headset as it has a radio Bluetooth button connected to it. Battery Life is up to 11 hours talk, 10 hours play, 500 hours standby. That is all our Best wireless headphones in India. We have provided all important details for each model. We have considered those points/criteria, user feedback and price tag of the product to prepare this list. There are different ranges of bluetooth headphones available above and you can choose the one which fits in your budget and needs.